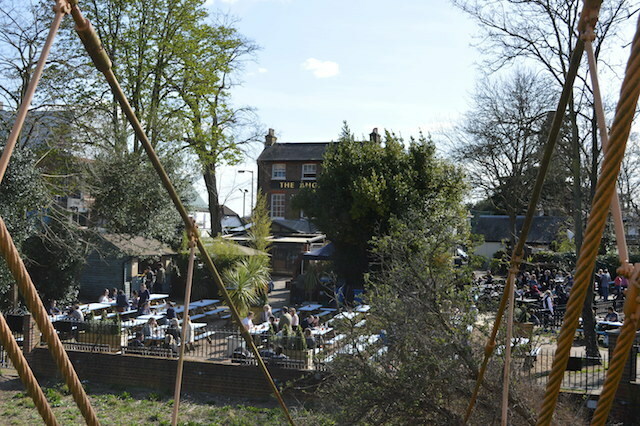 Teddington's most famous pub is also its largest. 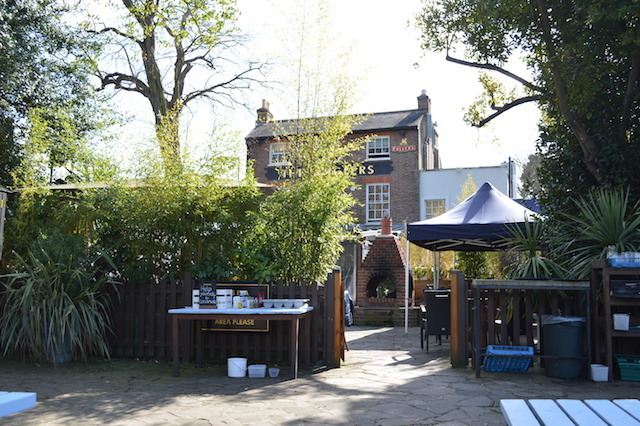 The beer garden alone is about 8,000 times more capacious than a typical central London pub. The table numbers approach 200. Not that you'll be pushed for space inside, either. The building sprawls into a number of different areas, including a sizeable conservatory at the back, with tables for all group sizes. 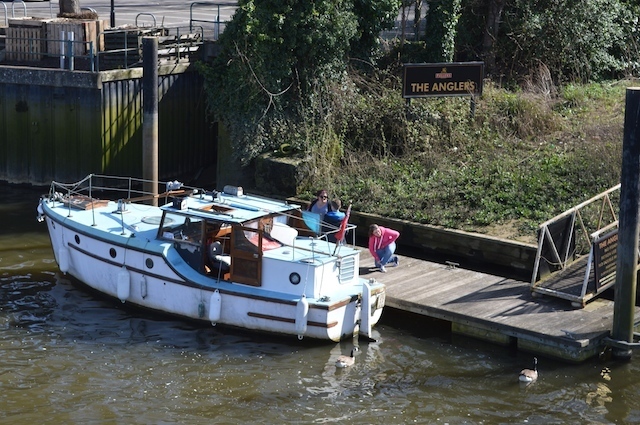 The place even has its own mooring pier. 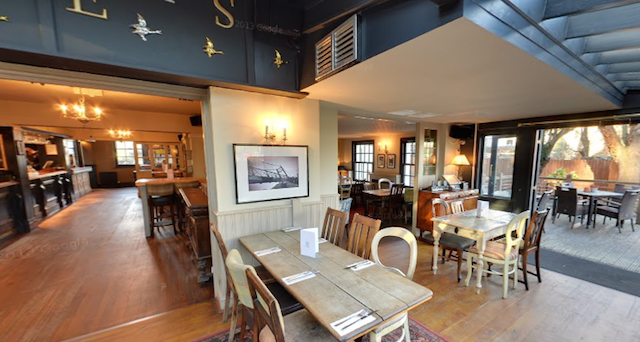 Come here on a Sunday and you'll find dozens of families tucking into a hearty roast. An upstairs room provides overspill, or a neatly sized hire space. 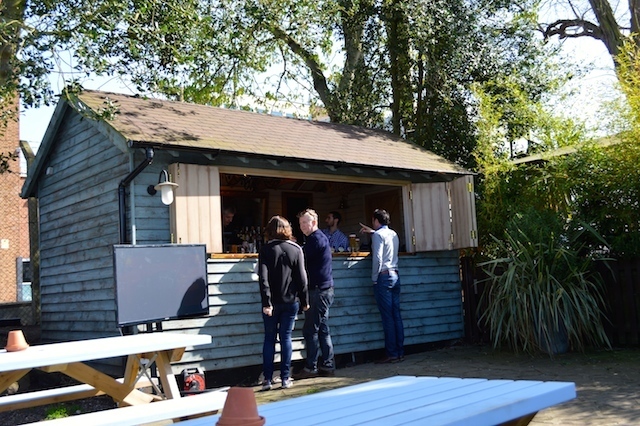 Service is aided by a separate outside bar (alas, only stocking one ale), and a food shack. The usual range of Fuller's ales are available inside. On Facebook. 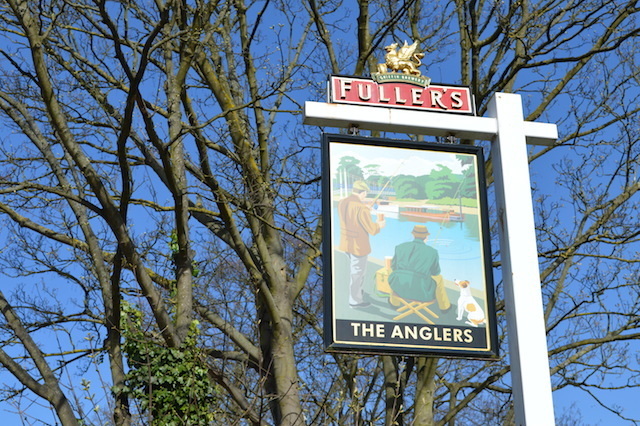 On Twitter as @Anglers_TW11. The beer garden in some of its glory.